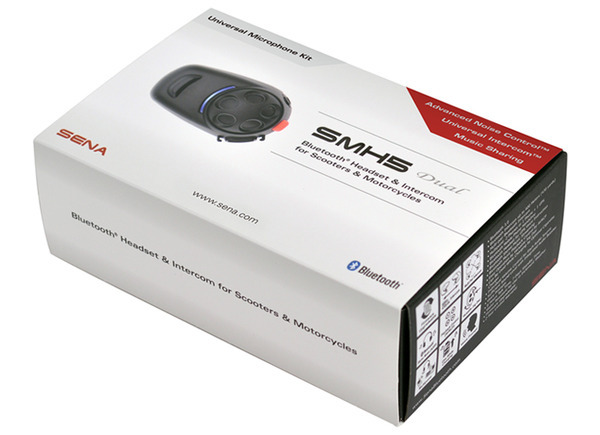 The SMH5-FM series provides two-way intercom functionality that keeps you connected to your riding companion for conversations and music sharing through the crystal-clear sound from the Bluetooth® stereo headset. 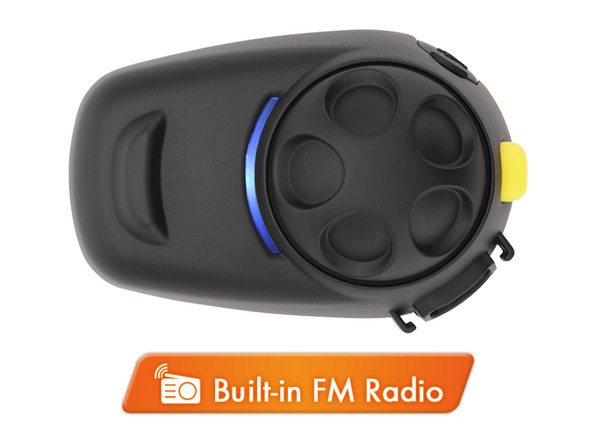 Meanwhile, the integrated FM tuner delivers crystal-clear FM radio reception. The Jog Dial and large button on the SMH5-FM make for an intuitive user interface that’s easy to control while riding. Pushing the button lets you cycle through all device functions. With less fuss, you’ll be able to ride safer. Bluetooth 3.0 technology delivers GPS directions and provides the capability to listen to and share music when paired with an MP3 player or smartphone. It’ll also let you make hands-free calls and participate in a one-to-one intercom conversation with a riding buddy up to 700 meters (760 yards) away. The SMH5-FM delivers crystal-clear natural sound that gets an automatic boost in noisy environments, while Advanced Noise Control™ technology cuts down on background noise for both incoming and outgoing audio. The Bluetooth music playback control features play, pause, track forward, and track back functions, and each audio source has its own adjustable volume level. You get up to seven hours of talk time and six days of stand-by on a single charge. 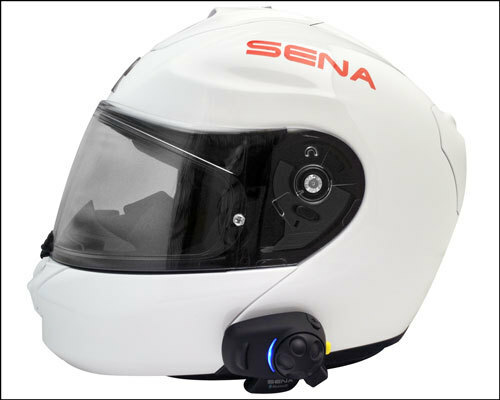 All registered Sena owners get access to free firmware upgrades, which ensure your SMH5-FM is always operating with the latest software updates. Meanwhile, integrated voice prompts (available in English, French, German, Italian, and Spanish) help you quickly learn your way around the device. 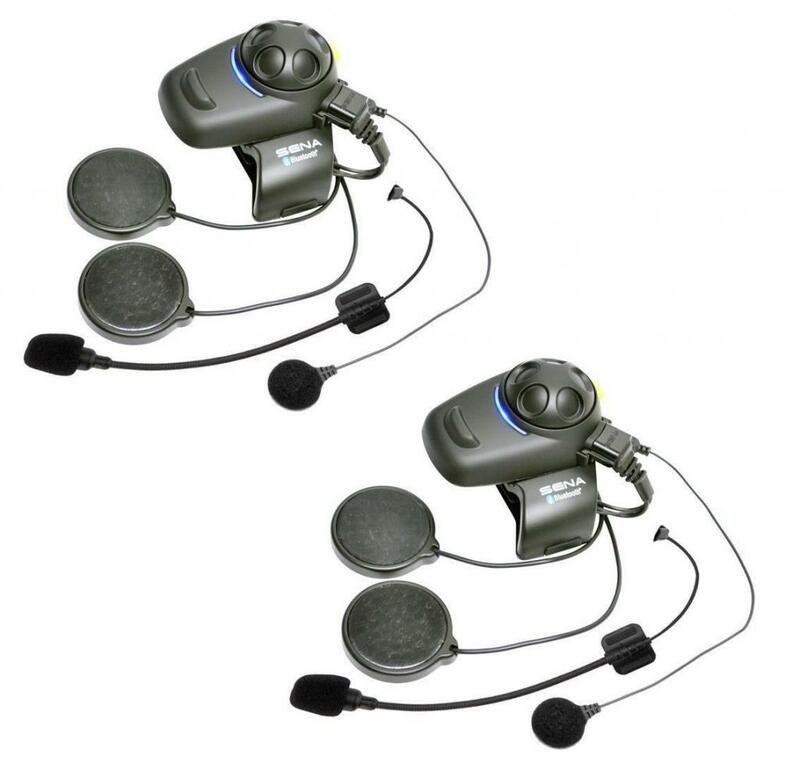 Even if your companions don’t have Sena gear, the SMH5-FM uses the Universal Intercom™ protocol, which allows your gear to work with their gear, regardless of brand.